Amazon’s Alexa virtual assistant is best known as the heart and soul (not to mention brains) of the crazy popular (and growing) Echo family of smart speakers, but recently, the number and scope of devices you can control using your voice has blown up. There are not only Alexa-powered tablets, smartphones, and smartphone mods out there, but also digital media players, laptops, various smart home accessories, a wall clock, and a (surprisingly affordable) AmazonBasics microwave. While you can find the occasional Alexa-supporting headphones as well, there aren’t quite as many options as smart headsets capable of interacting with Google Assistant. That’s about to change, though, as Qualcomm is now actively encouraging companies to create “innovative” headsets with Amazon Alexa technology. We’re not talking about some meaningless cross-promotion action or anything, but a very specific, targeted effort of helping out interested manufacturers. These no longer need to build their own designs from scratch, with both a Qualcomm Smart Headset Reference Design and a complete Qualcomm Smart Headset Development Kit for Amazon Alexa Voice Service (AVS) available to purchase via a specialized distributor. 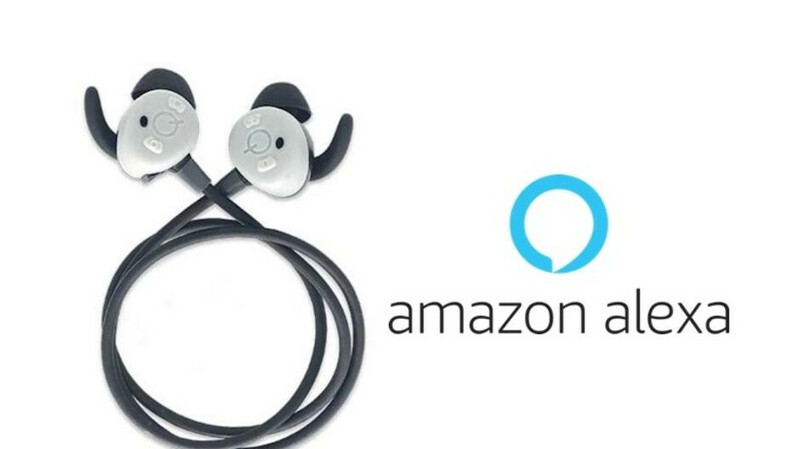 Consumers will obviously not be able to buy Qualcomm’s reference smart earbuds, packing a low power Bluetooth audio QCC5124 SoC, with AVS push-button activation support for Android phones with the Alexa app installed also provided. The aim is obviously to accelerate the development of wireless earbuds and hearables supporting Alexa assistance, as well as reduce costs in the long haul for manufacturers willing to invest in Qualcomm’s toolset. This naturally also means a wave of aesthetically similar smart headsets is right around the corner, but better that than having almost no options at all. Time to make those mediocre Pixel Buds obsolete! Google Assistant is superior to Amazon's Alexa. Adrian you have always been an antagonist, and you have a history where you hate Google and Android as well. You shouldn't be allowed to write articles. I echo your sentiments. It seems every other article is a stab at Google anything!